Hearing loss is something we usually think about as part of the aging process. However, there are many who suffer hearing loss as the result of an illness or accident. Unless you are personally impacted by it you may not be aware of the advancements being made to address the issue. If you are a young person with hearing loss, you are most likely going to look for an option like invisible digital hearing aids. As a result of advancements in technology there are many options available to choose from. 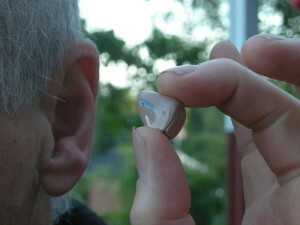 Hearing aids are not a ‘one size fits all’ type of solution. Some options will work from some while other options will not. Only you and your audiologist can make that determination. It is important to remember that hearing aids are aids, not cures, for hearing loss. That’s just a short list of what’s available today. There are more options to consider depending on your type of hearing loss. The more invisible the aid is the higher the price range usually is. The cost of hearing aids is usually tax deductible as a medical expense in the USA. Most private health insurance companies do not provide coverage as part of their benefit plans. Some countries have national health coverage so basic hearing aids would most likely be covered as part of that benefit. If you choose a hearing aid that is not covered under your national health plan, you may have to pay the entire cost or just the difference. Medical need and visual desire may have to find a compromise. As with any other major medical decision it is best to consult with your medical professional to see what your specific issue is and how best to address it. Once you have this information, you can look at your options and make an educated and informed decision. 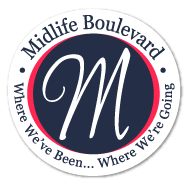 Medical need, financial resources and desired esthetics will help you make the choice that is right for you. There are so many options today for hearing impaired patients and technology is continually improving. My daughter has two cochlear implants, she was born deaf and she is now able to hear in a normal range. These devices are also available to elderly people as well. I have some posts on my blog about cochlear implants if you are interested. That is so wonderful that your daughter can hear now. Technology is a wonderful thing! I went looking for those posts you mentioned, but I did not find them. My mom keeps saying she's actually going to get a hearing aid, but still hasn't. I know my dad never will. The last time I went home, it was interesting to try to talk to either of them… "Huh?" "What?" "Come again?" And all while trying to talk while the volume on the TV was set to something like 60…. Even those born deaf are now getting help. Pretty amazing stuff.